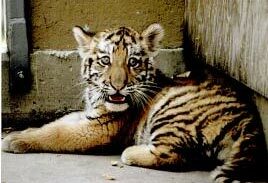 Tiger Math tells the story of T.J., a tiger born at the Denver Zoo who became an orphan as an baby. The zoo's veterinary staff takes over for his mother, feeding him by hand until he is able to eat on his own. 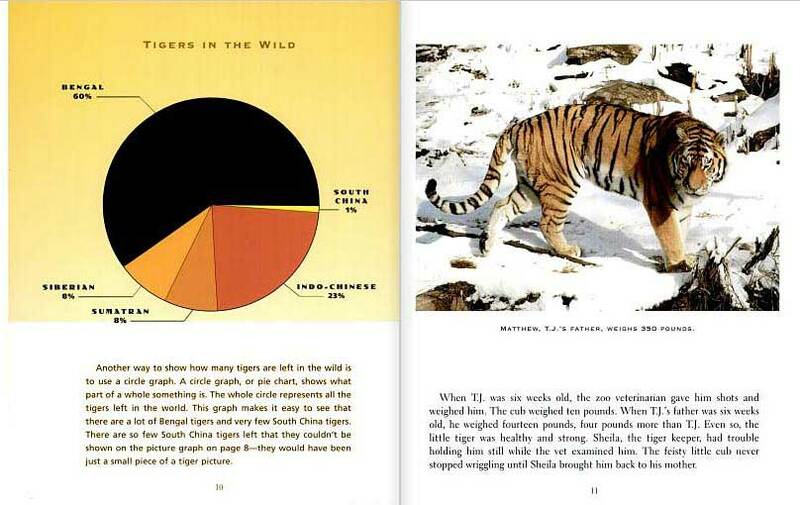 Tiger Math shares this compelling story of survival, and includes different types of graphs (picture, pie, line, bar) that chart his development in his early years. 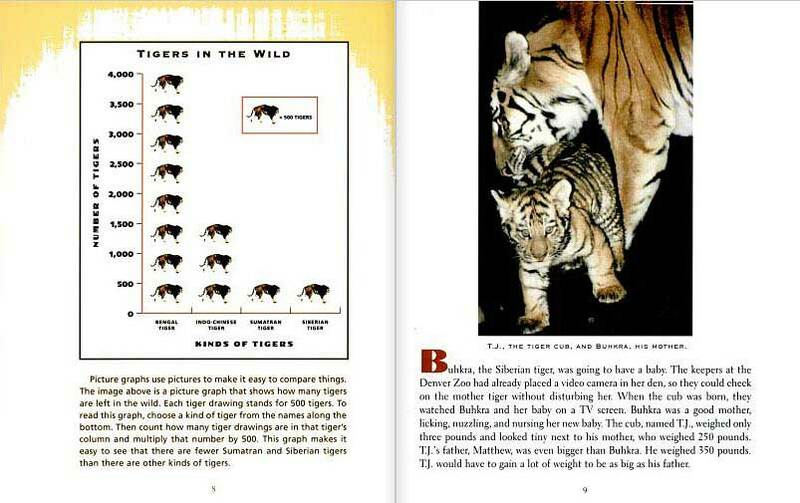 Below are sample spreads from inside Tiger Math. As there is quite a bit of text, this isn't a simple picture book that you would read to lead into a lesson on graphing. Instead, this is a book to build an entire lesson around! 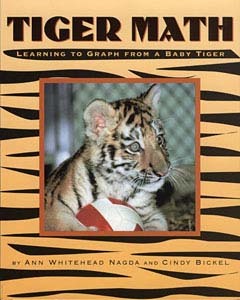 Read the story through to your class--both the story of TJ the Baby Tiger --and-- the graphs that go along with his growth & development. Then, pass out the graphs following graphs to each student and as a class, go though the data to graph it again. You can either para- phrase the story when you share each piece of data to graph, or simple share the data. (All the data is in the book, of course). You have the tiger's weight gain over the first months of his life, now here is the average human baby's weight gain (according to the World Health Organization). 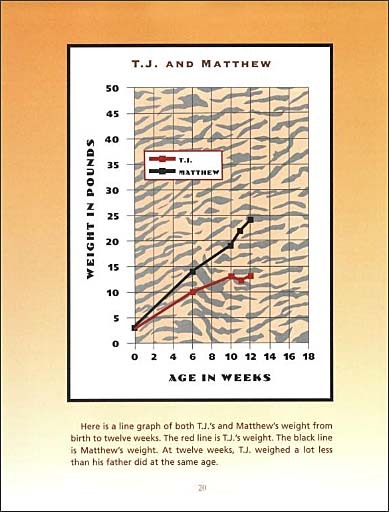 It would be fun to graph the two (sort of like how the book compares T.J.'s weight gain and his father's on page 20). 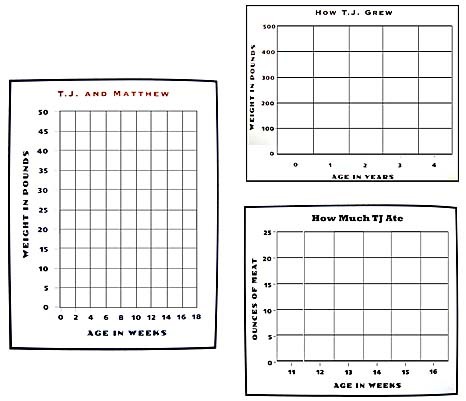 You can use the "TJ and Matthew" chart. To make it more interesting, perhaps vary the amount that the baby gains each week (within the correct averages listed above).